escape those who’d sooner have him dead than be exposed. I am a big fan of Matt Johnson’s Robert Finlay series. It is thrilling and incredibly pacy and it also has that unmistakeable sense of authenticity that tells you you’re in the hands of someone who knows exactly what they are talking about. Matt is a fantastically interesting man. Not only has he had a traumatic and sometimes heartbreaking career in the Metropolitan Police, he has now published three terrific novels, keeps bees that make magnificent honey and has found that his writing has had a positive impact on his Post Traumatic Stress Disorder. So what, I wondered was top of his mind when it comes to thinking about his career as an author? What advice might he give to new authors starting out? Read on and see what he has to say about that enticing offer – we can buy you readers and followers…. As a newly published author, getting noticed amongst the huge pool of talent that exists in the social media world is an incredible challenge. But, if there were an easy way, we would all be doing it. I recently read a tweet from an author asking for volunteers to do a review exchange with him. What he was offering was a ‘quid pro quo’, ‘you scratch my back…’ type arrangement. I’ve had a few similar requests myself, normally by DM, and I always decline. It was the first time I had seen an author being so public about courting such a favour. I was so tempted to contact him and tell him not to get into that ball-game, but then decided that it was, really, none of my business. If he wants to, that’s up to him, but it’s not an avenue I would ever go down. My personal feeling is that any means to secure reviews other than through genuine readers is fraught with danger. Sure, you may get a few lovely things said about your book, but it’s not genuine feedback is it? It’s not going to give you any idea as to whether your writing actually appeals to readers and, surely, that is the purpose of a review? Some authors argue that reviews are a way of getting noticed, an aid to securing that elusive book deal or boosting sales. I guess the argument is that publishing editors, on seeing a large number of excellent reviews on a book will then be tempted to take a look at it. That assumes, of course, that editors don’t know how the review system can be manipulated, that they don’t hear that companies are selling 5* reviews and that authors do review exchanges to boost their ratings. The truth is, of course, they do know, and they look at reviews with a very sceptical eye, and so, of course, do the readers. And what happens after the initial rush of 5* reviews? 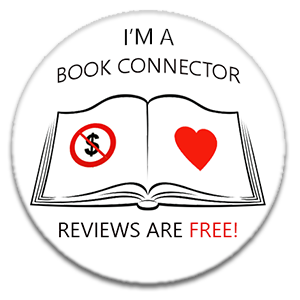 What happens when genuine reader reviewers start posting what they think of your work? You can be very sure that if they feel they have been conned that they will say so. So, if your bought or exchange reviews create a false impression of the standard of your work, then you’d best be prepared for the backlash. The same applies to followers on twitter and ‘likes’ on facebook. I have a healthy ‘followship’, not outstanding, but the majority of my followers are genuine people … I think! I tend to follow back and also follow others to see what books they are talking about. It also enables me to talk to readers, secure feedback and see if my own work is heading in the right direction. I would never buy followers to try and give the impression I’m better-known than I am. But, believe me, there are those that do. Like many, I have had my share of unwanted messages offering me opportunities to buy new followers. I can understand why a struggling author might be tempted, it can create an artificial appearance of status which may encourage genuine twitter users to take an interest in you. I was looking at the followship of a well-known author recently who is one of the top in my chosen genre. I saw that most of his original followers were ‘bots’, so he too had fallen for the offer. Is this vanity, or is it good marketing? Not an easy question to answer. Books are a business after all. I am called Harry. I also specialise in Facebook and Twitter management helping to generate more customers and also give your Twitter page the wow factor. Our daily newsletter consists of nearly 500,000 people whom have all completed a lifestyle survey, so we have a ideal indication of what interests our customers. When someone submits an order through us, unlike most of our competitors, we then submit your link through our newsletter and in turn people then like your page. We do not use robots or fake likes. If a new visitor logs on to your Facebook page and can see that you have 7000 likes compared to your competition with just 350 likes, they tend to side with you even without considering price differences, as they are added with confidence. This will also increase your position through Facebook and start to drive organic traffic through your page and through google. We always have special offers, currently we have buy 20,000 Facebook likes for £170 get 5,000 Free Twitter followers. Samples are available for serious buyers. My thoughts on Harry’s offer are the same as I would pass on to anyone seeking to become an author. Trust in your writing and don’t imagine there is any shortcut to success or substitute for hard work. And don’t cheat the reader – they have never been and will never be fooled. You can purchase End Game and the first two books in the trilogy, Wicked Game and Deadly Game from all good booksellers. same raw authenticity of its predecessor. Excellent advice. The book sounds great too. Hi Mary. Many thanks for taking part in the blog tour for #EndGame. I hope you found this article of interest as well. All the very best, Matt.